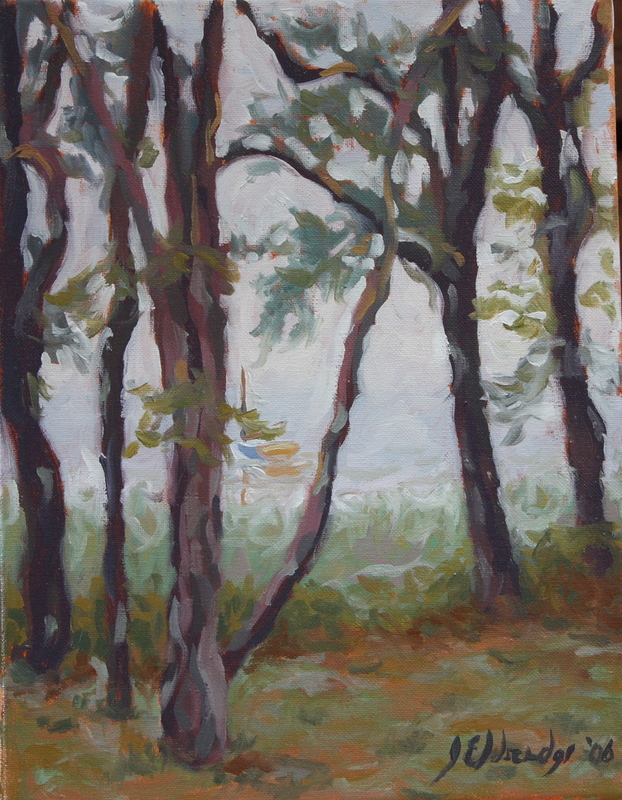 One of four paintings done en plein aire for a Cahoon Museum fund raiser. They wanted to have painters on location and my intention was to do a series that tracked the changes through out the day. The day turned out rainy and foggy, so the variations are more subtle than I had hoped. This one was done between 8-10 am.